The Minority Enterprise Development Committee of WNC will hold the 32nd Annual Minority Enterprise Development Week September 14th through 18th, with a series of free events for entrepreneurs. A highlight of the week will be an Awards Event on Thursday, September 17 at 6 pm at Homewood, 19 Zillocoa Street. 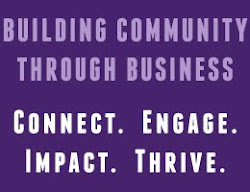 The mission of the Minority Enterprise Development Committee of WNC is to provide leadership and direction for the promotion, establishment and development of minority businesses in WNC through education, communication and advocacy. For more information, go to wncmedweek.org, or call 407-0856. Meet Your Lender, 9 am - 10 am, Mountain Bizworks, 153 Lexington Ave. Representatives from Self-Help Credit Union, Mountain BizWorks, Support Center and SBA. Panelists: Clarence Robinson, Founder and Owner, Cooking with Comedy; Hector Romero, President & CEO, Sanesco International, Inc.; Horace Adell, President & CEO, Clean Streak, Inc.; and Pat Oocumma, Founder and Owner, Native Scapes Landscaping (DBLO Enterprises, LLC). Moderator: Kimberly Hunter, Business Strategist & Educator, Prolific Consulting. 12:30 - 3 pm, Mountain BizWorks, 153 Lexington Ave. Annual Awards Event, 6 - 9 pm, Homewood, 19 Zillocoa St.